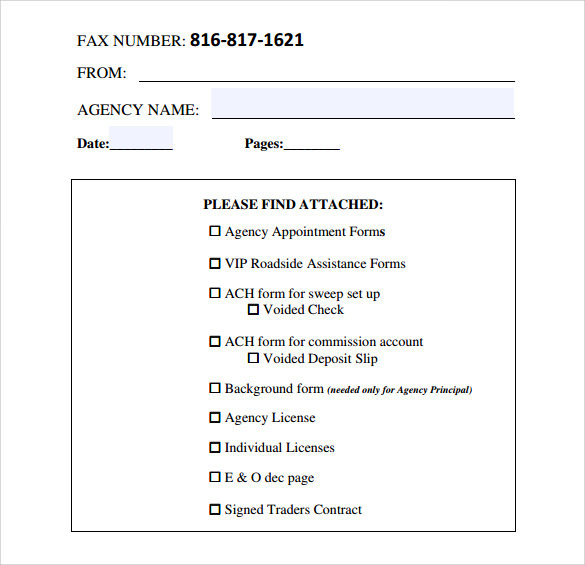 Finding general fax cover sheet for covering faxes become tough many times. Suppose if you need to send an urgent fax and you don’t have enough time to go to a store for buying the covering sheet for the fax, what will you do? Well, just download the sample general fax cover sheet.Yes, a sample general Generic Fax Cover Sheet is nothing but a black covering sheet for fax on which you can fill your personalized information. Using this kind of cover sheets will not look elegant but also feasible. You need not to spend your time and money in buying the cover sheets from the shop. 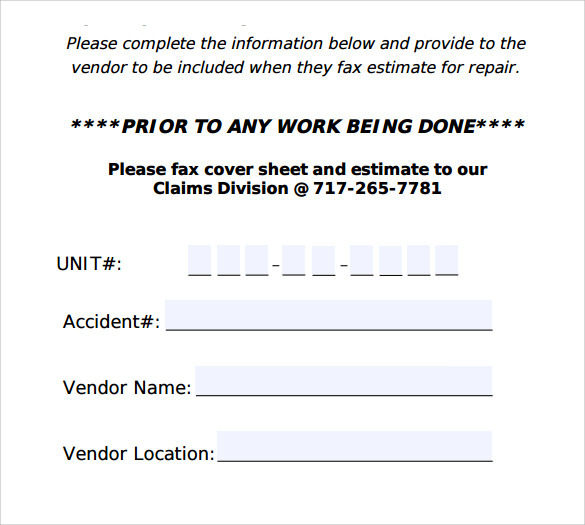 This sample of general fax cover sheet is a professionally designed template, where the name of the company appears on the left-hand upper corner of the template . On the right-hand corner, the name of the provider and date, contact details and no of pages are mentioned. It is followed by a short instruction and then the names of the patients followed by his detail. 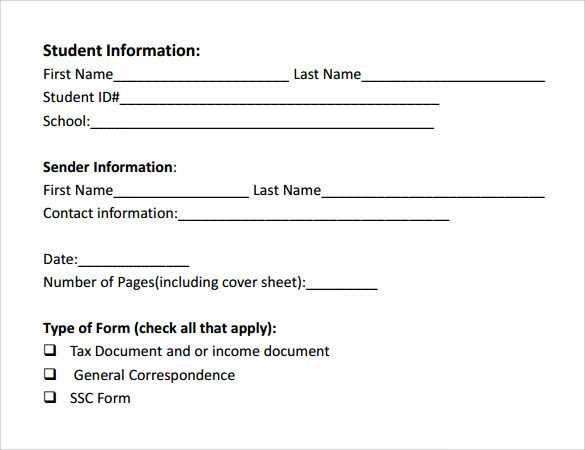 This sample of general fax cover sheet is meant for the usage of any shipping corporation for lost and claim items. It begins with the name and contact details of the customer along with his shipping reference number and AWB bill no. the second section deals with the description of the items and proof of shipment. The final section deals with the terms related to freight claims. 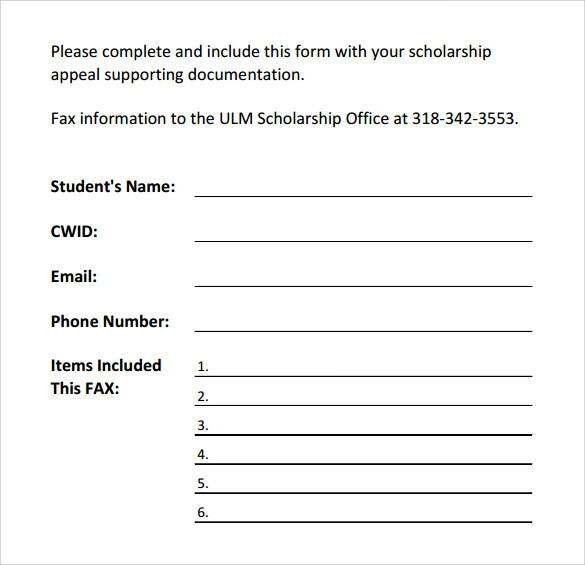 This sample of general fax cover sheet template is meant for school servicing center. It begins with the information of the student , followed by the information of the sender . 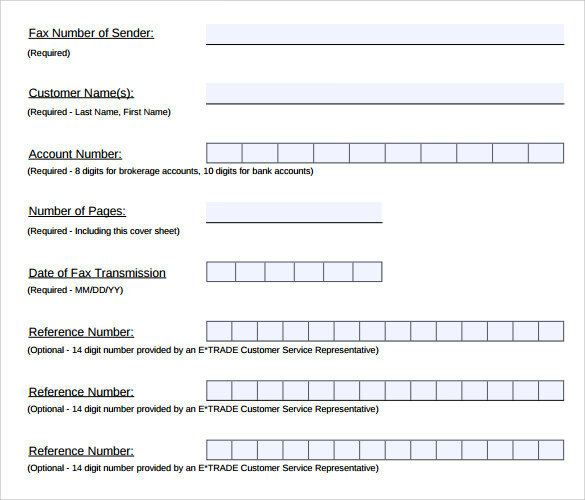 Additional information in this template consists information like date, a number of pages and types of form. 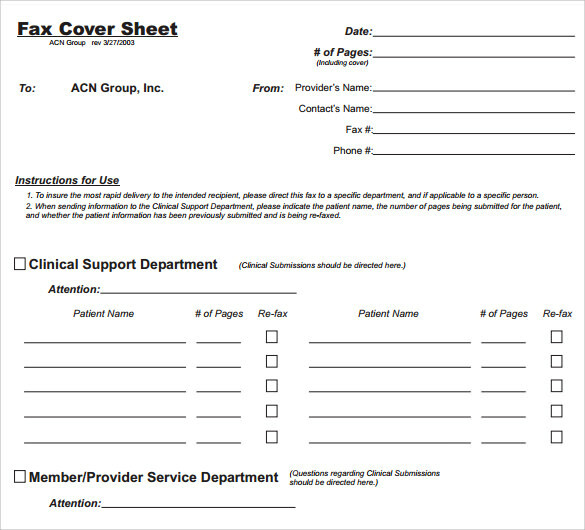 This sample of general fax cover sheet is meant to be used by a nursing facility. It begins with the basic details to the to and from sender. Other details which need to be filled in this document includes, name, date of birth, type of care providing authorization, authorization expiry date, and date of new authorization. What Are The Benefits Of Using A Business Fax Cover Sheet? Fax cover sheets are mostly and widely used in the domain of business and corporate exchanges. One of the main advantages of sending a business cover sheet on the introductory page is to help the recipient have an idea about the contents of the mail before they actually go through the contents of the mail. It can help them to set their priorities depending on the level of the importance which the mail carries. The sample cover sheets for business purposes are available in PDF and word document format, which provides the user the flexibility of downloading and using it directly from the internet.You can also see Personal Fax Cover Sheets. What Is The Purpose Of A Confidential Cover Sheet? 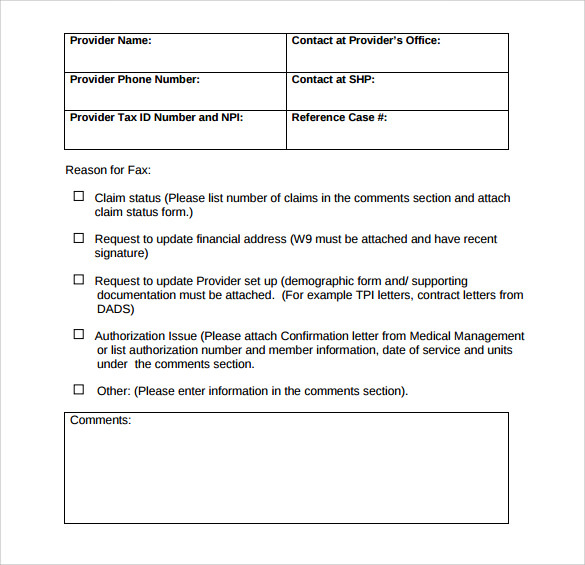 What Is Personal Fax Cover Sheet? 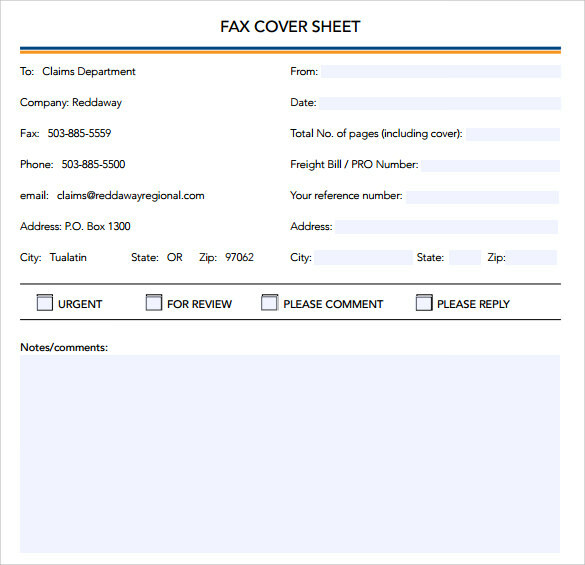 A personal fax cover sheet is a simple and very basic cover sheet which is used to list down all the important details without spending a lot of time. 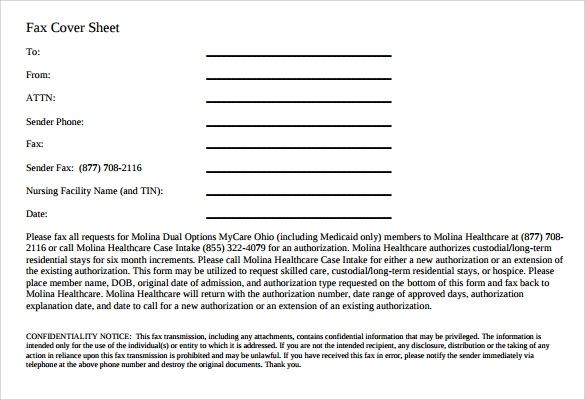 The sender of a personal cover sheet has to type in very few details like date, page number, and the message. 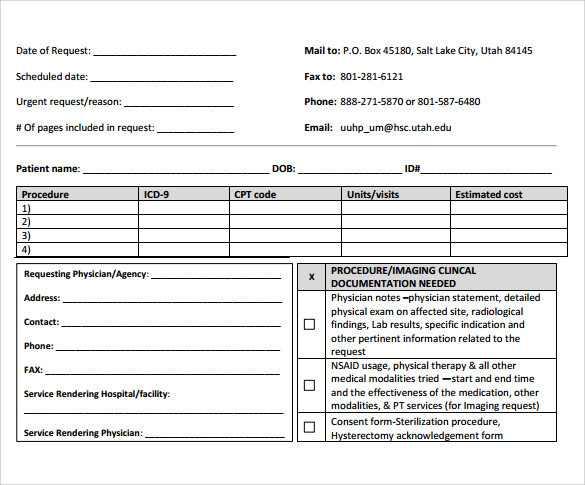 Rest of the details contained in the personal cover sheet can be omitted and included in the main letter. There is considerable debate regarding the utility of a fax cover sheet. However, if you are particularly interested in attaching a cover sheet the examples given in this sample would help you to make a choice.You can also see Sample Blank Fax Cover Sheets.